Just in on trade from one of our local customers! 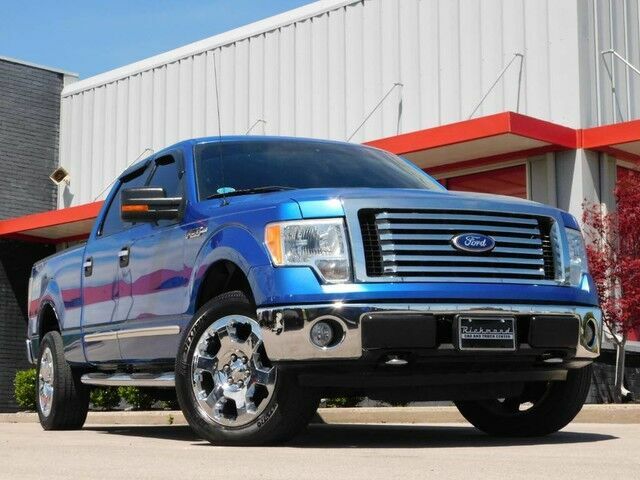 Richmond Car and Truck Center is excited to offer this 2010 Ford F-150 XLT SuperCrew 4WD. This Ford F-150 XLT looks great with a Blue Flame Metallic exterior and Medium Stone Cloth interior. This Ford F-150 XLT is well equipped with features like Rear Tow Hitch, Front Fog Lamps, Side Step Bars, Bed Liner, Rear Parking Sensors, Power Drivers Seat, Microsoft Sync, USB/AUX Connection, CD Player, Electronic Stability Control, and a Triton 5.4l V8 Engine. Take comfort in knowing Carfax affirms only two previous owners, no incidents and it comes with the 100% Carfax Buyback Guarantee!. Due to our pricing our vehicles sell pretty quick, so call ahead to be sure of availability! This Ford F-150 XLT has been quality inspected, fully serviced, and ready for delivery at Richmond Car and Truck Center of Richmond, Ky.